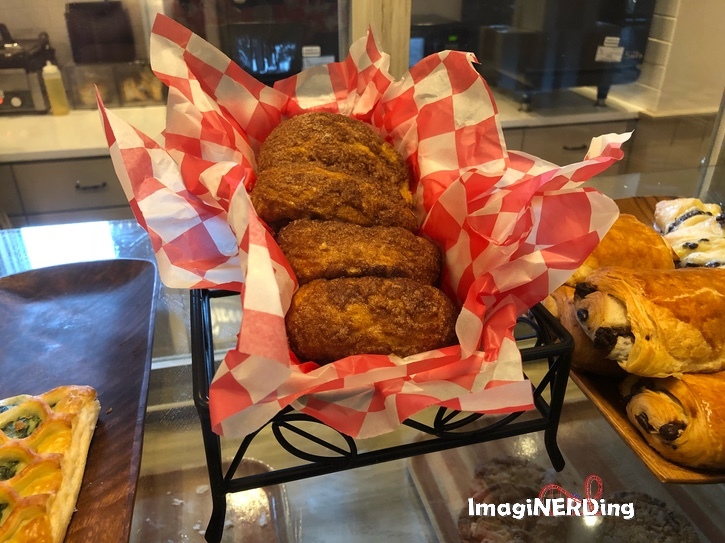 You can get cinnamon bread at DreamMore Resort at Dollywood! The Homemade Cinnamon Bread from the Grist Mill was always the best kept secret of Dollywood. And by best kept secret, I mean that everyone knew about it. It’s become the signature food item at the Pigeon Forge theme park and a tradition for hundreds of thousands of people. On one of our last trips, my family waited 45 minutes at the Grist Mill to get a few loaves of the delectable cinnamon bread. As a Dollywood Insider, I was able to take a backstage tour of the Dollywood Train Shops and Dollywood’s Splash Country. I made sure to stop by the DM Pantry to try out the cinnamon bread and offer my opinion! This is great news for anyone that might not want to spend an hour in line waiting for Homemade Cinnamon Bread at the Grist Mill at Dollywood. But, make sure to check out the video for a tip about making sure you can get a loaf of the cinnamon bread from the DM Pantry. Check out my post about the amazing Homemade Cinnamon Bread!